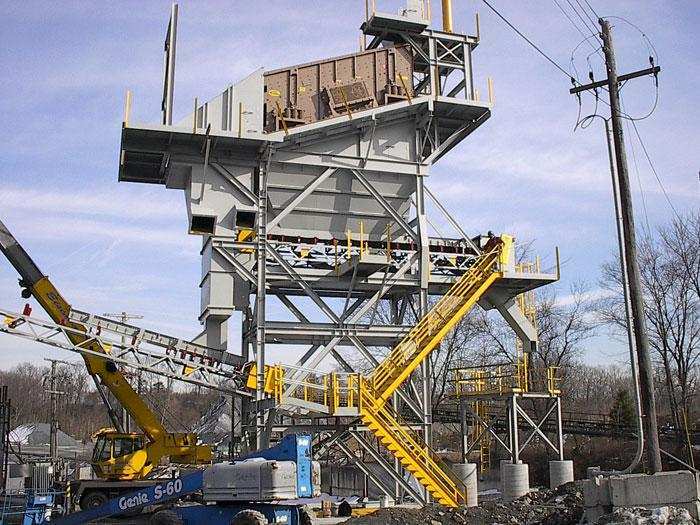 A stone quarry contracted GSM to install a fine grind limestone system including two screens, an A-frame building, an underground tunnel with a conveyor, a transfer tower, a dryer, a bucket elevator, a bin, a mill, and a cyclone. GSM fabricated some of the equipment, structural steel work, and access work, including the A-frame structure with siding, and installed everything mentioned. 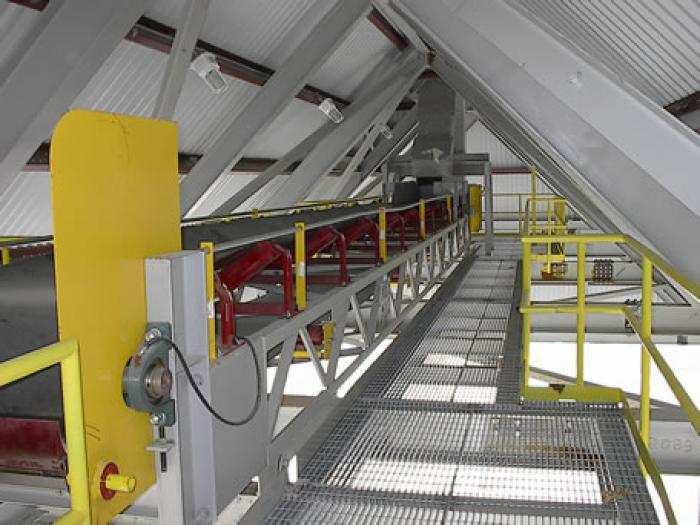 The first screen feeds a conveyor that runs to the A-frame structure, which has a raised platform and inlet conveyor that dumps stone into the structure for dry storage. Under the A-frame, the tunnel sits below grade. It was supplied in pieces and we prepared a stone bed and then meticulously assembled it with bolts at 3” intervals, installing it with care so that when tons of stone were piled on top it would not elongate the tunnel. At various points in the roof of the tunnel there are vibratory feeders to get the stone from the pile to the long conveyor we installed inside. This conveyor carries the stone through the tunnel, then outside to a transfer tower where magnets remove certain material from the mix. 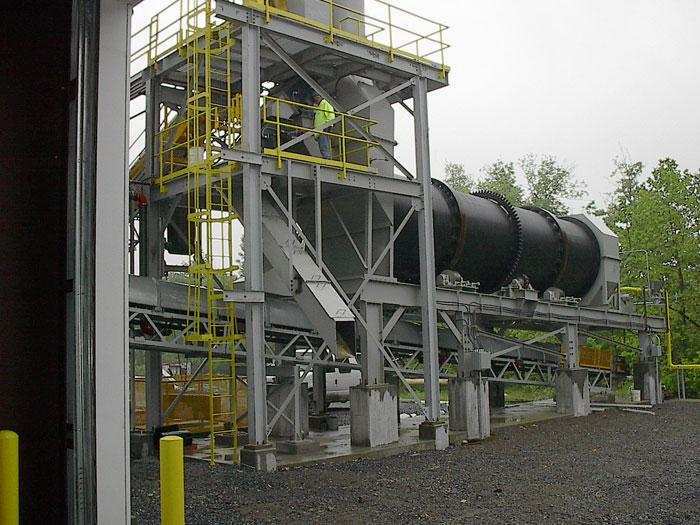 The conveyor continues to the gas-operated dryer, which tumbles and dries the stone. 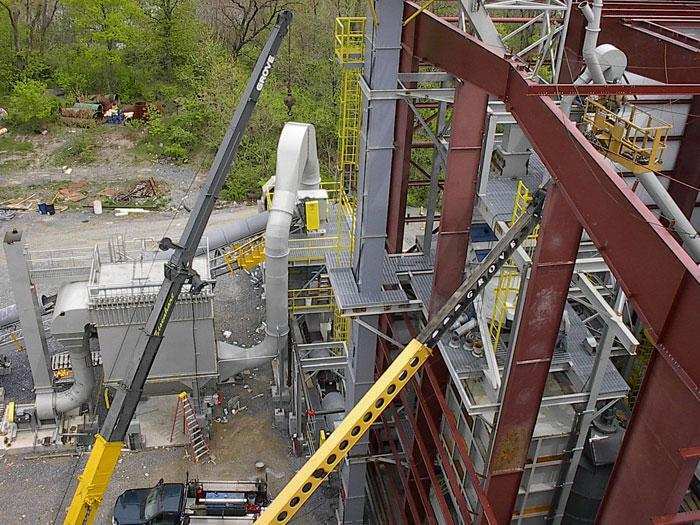 From there the stone is carried in the bucket elevator to the second screen, then to the bin, the mill for crushing, and the cyclone for further separation.